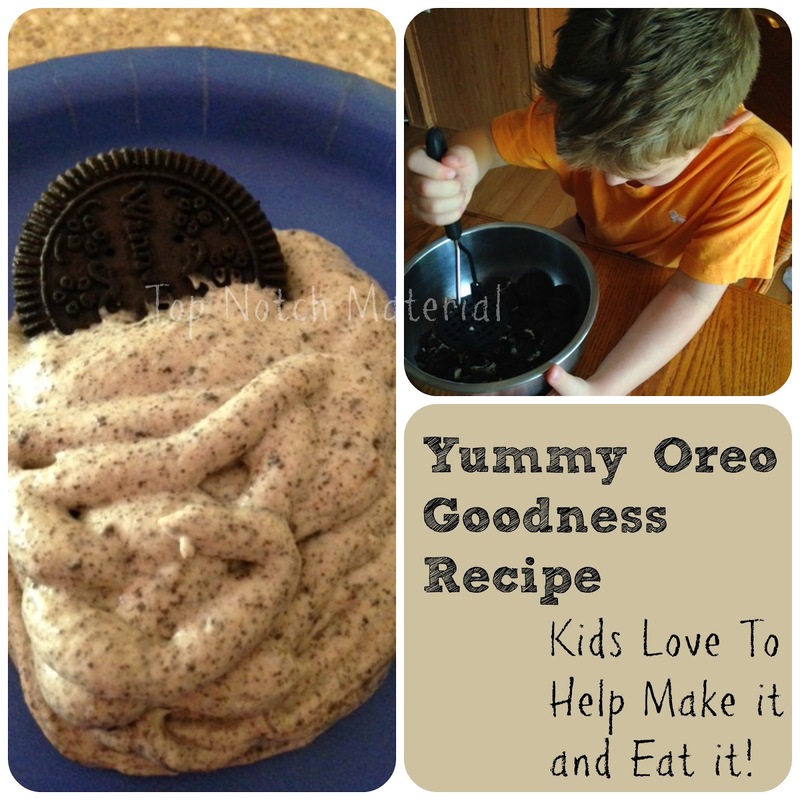 This SIMPLE recipe is awesome to make with your kids, and they absolutely LOVE it!! I do too. It takes just three easy steps and when using the generic ingredients can be made for under $5! Make the Instant Vanilla Pudding according to packaging and let it set in the fridge for around 10 minutes. While the pudding is setting, crunch your Oreo cookies. 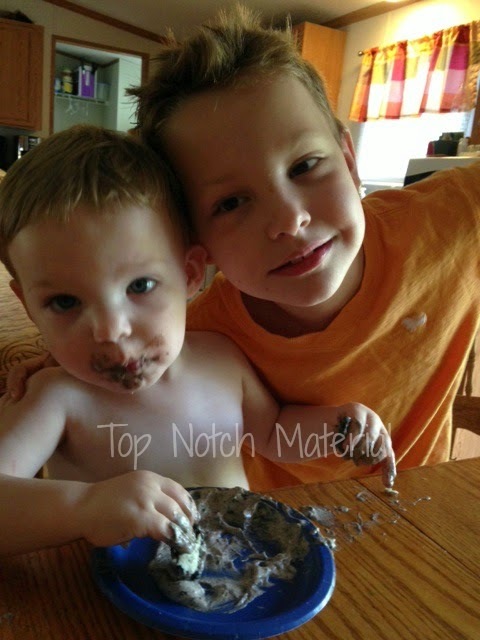 (I used a food processor to get them extra crumby once my son was done helping.) Then fold the Whipped Topping, Cookie Crumbs and Pudding together. Let firm in the fridge for 1 hour before serving! This is delicious alone and I also think it would also make an amazing pie filling!